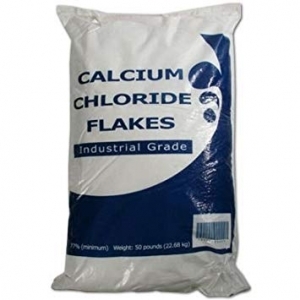 Available in pellets and flakes, Calcium Chloride has versatile applications including de-icing, dust control and concrete acceleration. Dust Control Calcium Chloride draws moisture from the air and resists evaporation and stays in solution. It’s ability to regulate moisture on road surfaces is the key to building roads that last. De-Icer Calcium chloride is the most powerful of all the common deicers used for melting ice and snow on sidewalks, driveways, parking lots, and streets. The exothermic (heat releasing) reaction when calcium chloride goes into solution makes it the de-icer of choice. No other product melts more ice, and melts ice faster than 94% calcium chloride pellets.